Persecution of Catholics did not relent after James I assumed the throne. A get-penny was a bestselling performance–in this case a puppet show of the Gunpowder Plot, so as Johnson attests through this quote, the drama of the 5 November was as popular today as it was in the seventeenth century. When James I took the throne, Catholics flocked across the channel from France to return to England, hoping for toleration in the form of a law similar to the 1598 Edict of Nantes, which granted toleration to French Huguenots. However, several things were to go wrong. First, there was the Bye Plot, in which William Watson, a priest, planned to kidnap the king and hold him for ransom until he declared toleration law. Then the Main Plot, which followed, was led by certain high-ranking courtiers like Lord Cobham and Sir Walter Raleigh. It aimed to get rid of the Scottish King James and replace him with Lady Arabella Stewart. In 1604, due to Puritan Scottish advisers, the king began to harden in his stance towards Catholic toleration. 19 March 1604 marked the passing of recusancy laws that formed a continuation of Elizabeth’s anti-Catholic policies. Robert Catesby was a main ringleader among the Gunpowder Plot conspirators. He belonged to a wealthy Catholic family from Warwickshire. His cousin, Francis Tresham, was also prepared to use physical violence to achieve his aim of initiating a regime change. Jack and Kit Wright were notable swordsmen who fought during Essex’s failed rebellion of 1601, which saw the disgruntled earl beheaded. These two men would have known Guy Fawkes from school at St. Peter’s,York. Fawkes himself was a veteran of the wars against the Dutch in the Netherlands. Thomas and Robert Wintour, relatives of Catesby, also owned Huddington Court, a priest refuge. Thomas’ uncle had been a priest. He’d been hanged, drawn, and quartered—presumably for treason—a gesture I doubt Thomas appreciated. Wintour and Fawkes are both known to have travelled to Spain in order to seek support. The Spanish under King Philip III was making a peace treaty with the English. Sceptical that the treaty would force the English king to tolerate Catholics, the conspirators prepared for another, more violent means of having their way. 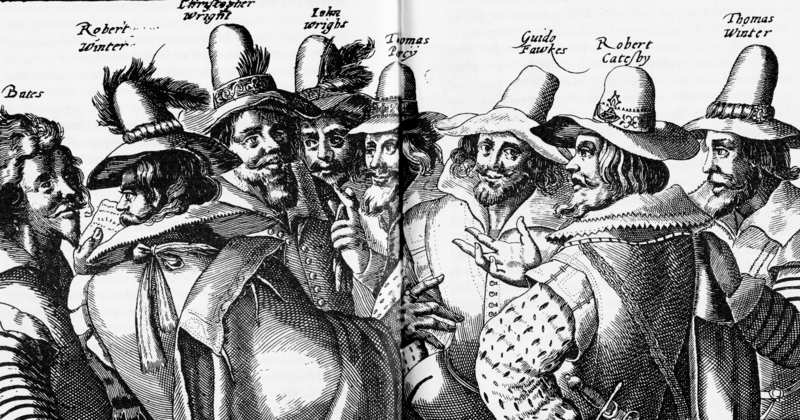 The Gunpowder Plot conspirators. Guy Fawkes’ name appears as Guido because he was closely associated with the Spanish. In winter 1604, Wintour met Catesby and Jack Wright in their house in Lambeth, which was a stone’s throw across the Thames from Westminster—their target. The Gunpowder plot was Catesby’s idea, and hardening their resolve, once Fawkes had crossed the Channel, they met at a house behind St. Clements in the Strand. There, Father John Gerard, a Jesuit, celebrated Mass. Jesuits in England at this time were not allowed to enter England as “secular” priests: Elizabeth I had banished them from England by decree 5 November 1602. After the Mass, the conspirators swore an oath. The John Gerard was most likely not present for the oath, although Protestants would associate the conspiracy with the Jesuit order for a long time. Parliament opened 19 March 1604. On 24 May, Thomas Percy acquired a lease on a small house near the House of Lords, where they were to excavate a shaft from the cellars to the foundations of the House of Lords’ chamber, and then lay the powder in a stack of concealed barrels. The peace treaty with Spain was signed, and it included no mention of Catholic toleration. The situation worsened when the king appointed a committee to prevent Jesuits from subverting the king’s authority. The plotters encountered many setbacks. Their house was requisitioned while they were digging the mine, which risked the exposure of the plot. A plague outbreak forced Parliament to prorogue until 3 October 1605. They hoped for Princess Elizabeth to survive the explosion—a female monarch, they felt, would be more easily manipulable. Apparently, they had forgotten how much they suffered under the last female monarch, the last Elizabeth. Robert Wintour, Kit Wright, and John Grant (a notorious participant in the Essex rebellion and the brother-in-law of Robert Wintour), entered the conspiracy in March 1605. Soon, they discovered coal in storage in the Lords’ meeting house. This meant they could place powder directly under the House of Lords. Presumably, the coal would help the fires burn afterwards. On 3 October, Parliament was prorogued once more, until the fateful day of 5 November. 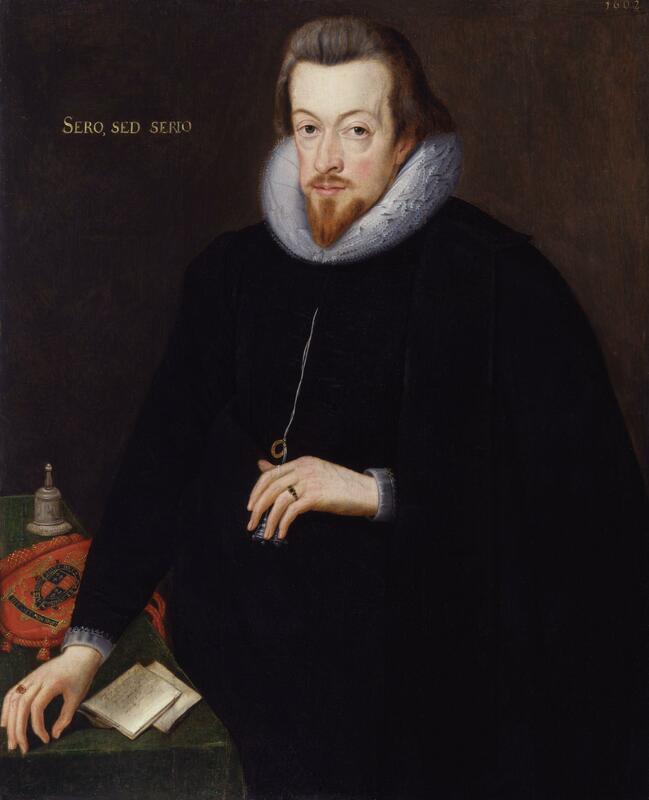 Robert Cecil, spymaster and secretary of state. One of the successors of Francis Walsingham’s office, and a master in snooping out Catholic threats. On 27 October, Catesby had reason to suspect the plot had been betrayed. He suspected Francis Tresham, for his connections to Mounteagle, but he denied it enough to convince the conspirators he was innocent. They pushed forward with their resolution. Thomas Percy met lord Northumberland in an attempt to see if he had heard about the conspiracy, but found that he was ignorant of it. The gunpowder was undisturbed, reported Fawkes. Fawkes enters the chamber with a slow match on 4 November. He comes face-to-face with the Lord Chamberlain. Imagine Guy’s surprise when the Chamberlain takes him to be a servant of the house. They are standing right in front of a pile of gunpowder barrels concealed only beneath a pile of brushwood and wooden sticks. Fawkes sighs in relief when the Chamberlain, satisfied, resumes his inspection of the rest of House of Lords. The lie Fawkes uses to get out of that tight spot is not really a lie at all, but an omission of the truth: he said the sticks belonged to the tenant of the house, Thomas Percy, a respectable gentleman pensioner. However, Monteagle finds this suspicious. Why would Percy, a known Catholic, own a second house near Parliament when he has his own house in nearby London? The king has Sir Thomas Knyvet, a Justice of the Peace, an old friend of Robert Cecil, and one of the king’s privy chambermen, perform a more thorough search. At midnight, they found Fawkes with thirty-six barrels of gunpowder, red-handed. Fawkes claimed he was actually “John Johnson,” Percy’s servant, but I doubt it took much of a genius to know he was lying and thought of that name on the spot. 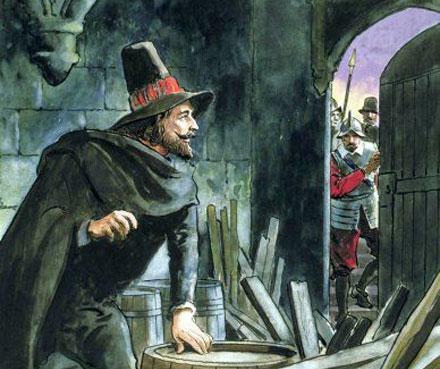 Fawkes had intended to light the fuse after hearing the king enter Parliament above, then escape across the Thames before the whole thing blew. Sir Everard Digby and his men were stationed in an inn called the Red Lion in Dunchurch, posing as hunters, awaiting Step 2, which Catsby would have initiated after arriving from London with the intent of initiating a Catholic uprising. However, when news of the arrest reached them, the assemble huntsmen lost heart, losing all sense of guidance and momentum. Catesby, Ambrose Rockwood, and John Grant fled from Catholic safehouse to safehouse, avoiding the law. Once, they were wounded in an accidental gunpowder explosion, when they left damp powder too close to a fireplace. So grim was their situation that “Jack White suggested to Catesby that they should blow themselves up with the remaining powder” (Cannadine 28). What followed at Holbeach was like a showdown in the Wild West. The sheriff of Worcestershire arrived with two hundred men and exchanged fire with the conspirators. The Wright brothers (not the inventors of the airplane, but the Catholics Jack and Kit Wright), were killed. 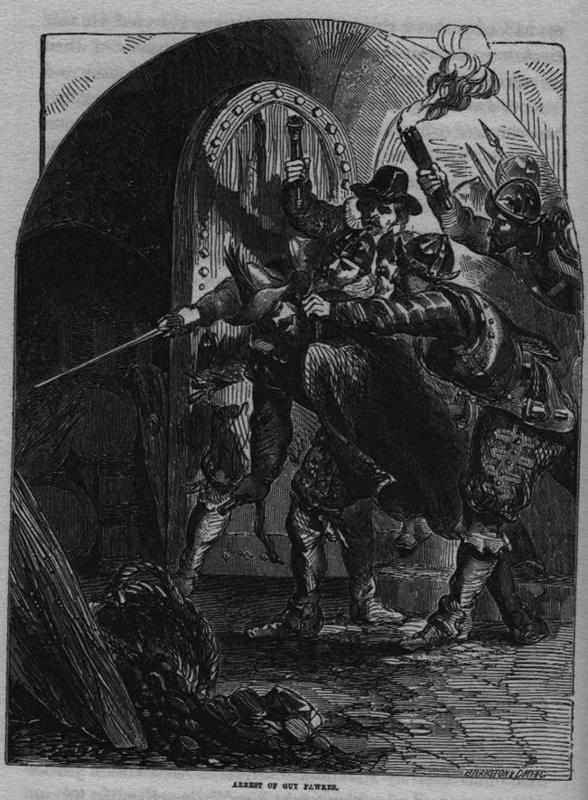 Tom Percy and Rob Catesby were brought down by a single bullet. Catesby died after crawling back to his house and hugging onto a statue of the Virgin Mary. The survivors were rounded up and brought to the Tower. Under torture, Fawkes confessed to the crime. 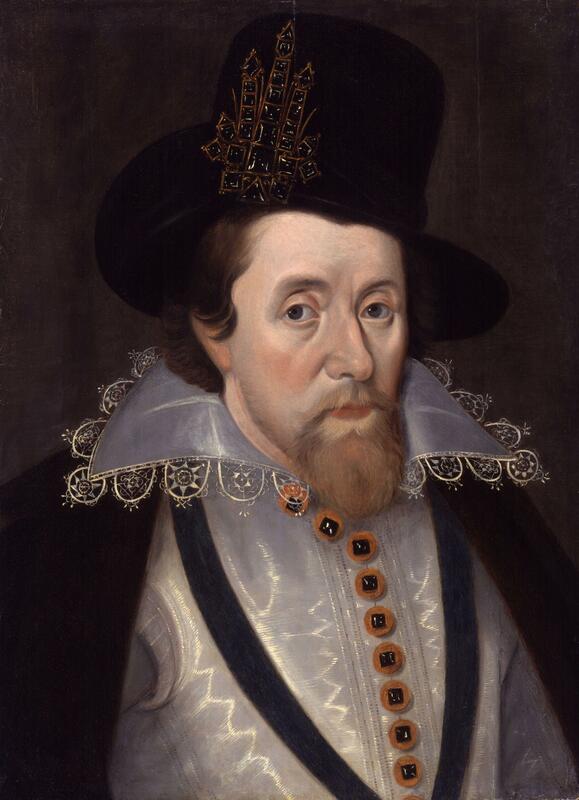 He hated the Scots, many of whom were Puritans, and he hated the Scottish king James for assuming the English throne. The earl of Northumberland, whom the plotters were suspected of planning to use as a lord protector after Princess Elizabeth took the throne, was thrown in the Tower. On 27 January 1606 the surviving plotters were tried: Guy Fawkes, Tom and Robert Wintour, Sir Everard Digby, John Grant, Robery Keyes, Ambrose Rockwood, and Thomas Bates. They were executed over the course of several days. Thomas Bates was the one who spoke of the involvements of three Catholic priests: Father John Gerard, Father Oswald Tesimond, and Father Henry Garnet, who was the only one in England at the time. Garnet was hanged, drawn, and quartered 28 March 1606. On 5 November 1605, Londoners rang bells and lit bonfires in celebration of the deliverance of the kingdom from unthinkable treachery. In 1606, the day became a religious occasion and later in the century, effigies of the Pope were burned in public every 5 November. The tradition of burning effigies of “the guy,” meaning Guy Fawkes, would only arrive in the next century. We can only imagine what would have happened had the plot succeeded. Chances are that the explosion would have set Westminister ablaze, inflicting destruction over a wide area. Hundreds or even thousands of people, including the bulk of the power structure of England, would have been annihilated spectacularly. Perhaps it was the consciousness of this conspiracy in history that inspired the string of similar conspiracies in twenty-first century popular culture: for example, the anti-mater bomb placed under St. Peter’s Basilica during the papal conclave in Angels and Demons, and the Nazi theatre explosion in Inglourious Basterds. Nothing like the Gunpowder Plot happened before 1605. And since then, nothing else has happened quite like it (except perhaps the failed attempt to crash a plane in the White House on 9/11). Just as people today imagine what might have happened had the conspiracy succeeded, people back then tried, and imagined horrors. The paranoia stirred by the failed plot led to worse persecutions for Catholics. Collective fears also helped shape how the history of the plot was understood in posterity. Buchanan, Brenda, David Cannadine, and Justin Champion, et al. Gunpowder Plots. London: Penguin, 2005. Haynes, Alan. The Gunpowder Plot: Faith in Rebellion. Dover: Alan Sutton, 1994. Marotti, Arthur F. Religious Ideology and Cultural Fantasy. Notre Dame: University of Notre Dame Press, 2005.